What's with music services tripping over themselves to claim being a "discovery source" for new artists? While I am a proponent of introducing new music, I'm not sure that there's such an all out rush to new acts by fans - at least to the degree alluded to. My contention has always been that new songs must be served with popular songs; the latter draws audience, the former surprises them. Online radio has long had stations featuring only indie artists. Outside of this niche few stations paid attention to airing new acts consistently, until the arrival of Apple Music. Its boasting of "All the music you already have. And all the music you could ever want." pushed awareness of our deep pool of talent to a new level. Apple is not the first to oveshadow what used to be radio's domain. Google Play Music states "Enjoy more than 30 million songs..." where I'm sure you'll find new artists. iHeartRadio has its "Indie Band Weekend." For bands, try submitting music directly and you're greeted with "Both artists and labels can submit music to iHeartRadio through aggregators that have distribution agreements in place with us." Note that there is a long list of companies, which means there's a longer list of submitting artists. How many receive exposure is questionable. And rdio has its Artist Program, where claims are made of "...earning additional revenue that complements the existing royalty structure...." I'm sure if figures were released, this amount would be miniscule compared with the image created in rdio's on-site phrasing. Indie artists are a group that I'm very familiar with. In 2003 I created RRadio Music, envisioning it as a place where new artists could be connected to radio station programmers. Over a thousand stations have used its free service. That none came from broadcast is no surprise. I have also run RadioRow since 1999. This station portal has always had a page listing stations playing indie artists. Let me share its data: From January 1, 2015 through today, visits to the RadioRow "New Music" page represented 0.91% of all RadioRow visitors. From January 1 2014 through December 31 2014, visits to the "Independent Artists" page were 1.28% of all RadioRow visitors. From January 1 2013 through December 31 2013, visits to the "Independent Artists" page were 1.33% of all RadioRow visitors. From January 1 2012 through December 31 2012, visits to the "Independent Artists" page were 0.86% of all RadioRow visitors. There's a pattern for this new music page; it remains one of the least visited pages at RadioRow, with some of the highest average "time spent on page". My interpretation of this data is that we have interest in hearing new music but we need to keep it in perspective: Audio Graphics brands its highlighting of new artists as "the future of music." In 2010 I began producing a series of audio programs titled "Intro to Indie Artists." Besides being on iTunes, over 240 stations Received to 640+ of these 5, 3, and 2 song programs. Fans also Receive through RSS: country, dance, hip hop & rap, jazz, pop, rock, and hard rock songs. There are many opportunities for stations to air indie acts beside this, yet so little new music is played - even now, in our new "discovery" mindset. I wonder if radio is using music discovery to its advantage, or letting new digital services take this lead. "Curated music" is a fancy way of saying a person picks songs. That's fine, sometimes, but like algorithmically served songs it's not the end all. If radio spent more time on different ways for delivery of new music, serving more indie artists, we'd have improved audio programs. What prevents this is how radio still does not use data to inform programmers or advertisers. Online and broadcast radio has been stuck in a rotation system that relies on playing the hits, while digital music services are moving the industry deeper into "new music" turf. 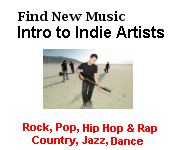 You want solid indie artists? Youtube delivers. Apple is now stealing thunder too, with Google Play Music, rdio, and iHeartRadio in the pack. After 18 years of following this music sector I'm not convinced the indie artist fight is locked up. There are more than enough good indie artists to go around, so why the delay? No service has a lock on music discovery, which gives time for you to make a move and become part of the future of music. Today's artist introduction is to Rock from Fabrockators. Give "Hot Rod" a listen.